Roots of India is a restaurant serving North Indian and Continental food in Marol. I liked the food, ambience, and courteous service of the staff here. Talking about the food, I tried the Tandoori Lollipops, they were perfectly marinade and charred. The Nawabi Mushroom looked beautiful and tasted great. They also offer a buffet which includes butter chicken, corn palak, pink sauce pasta, mutton rogan josh, chicken in hunan sauce, butter naan, veg kadai, green Thai curry with steam rice, and dal tadka. For desserts, they had gulab jamun, phirni, chocolate balls and ice cream. Overall, I felt the spread could have been more extensive given the price one has to pay but again, there's no complaint regarding the taste of the food. Everything was extremely delicious and fresh as expected. 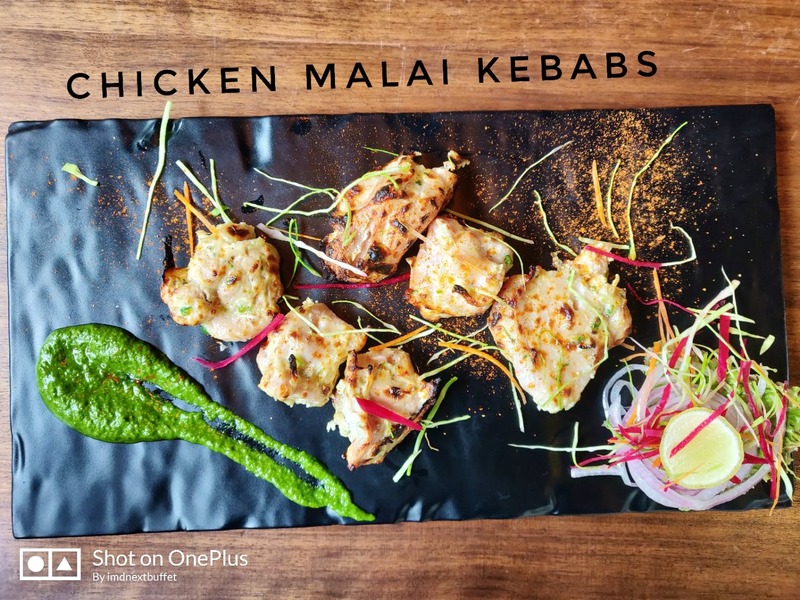 Their Murg Malai Tikka had subtle flavours but wasn't marinaded well. And while Dahi Ke Kebab were melt-in-the-mouth soft, they had a strong sweet flavour.